Men have specific health needs that require monitoring and screening that will help ensure optimum health. From male sexual health to lifestyle management and health education, HomeMD has you covered. Our primary health care providers not only perform tests, diagnose and prescribe, but teach and counsel when it comes to your health care needs. HomeMD is a patient centered health care service that starts with the simple download of our app. We offer three easy ways to access care – via telemedicine, home visits and visits to our clinic in mid-town Toronto. Due to the popularity of our medical app, we have recently expanded our coverage area to the entire GTA region. Regardless of which platform is best for you, the quality care provided will ensure you are effectively screened using evidence-based medical standards. With a comprehensive focus on men’s health (as well as many other areas), HomeMD is promoting and teaching men about what to watch for, when to seek medical attention and what steps to take to have the best chance at good health. 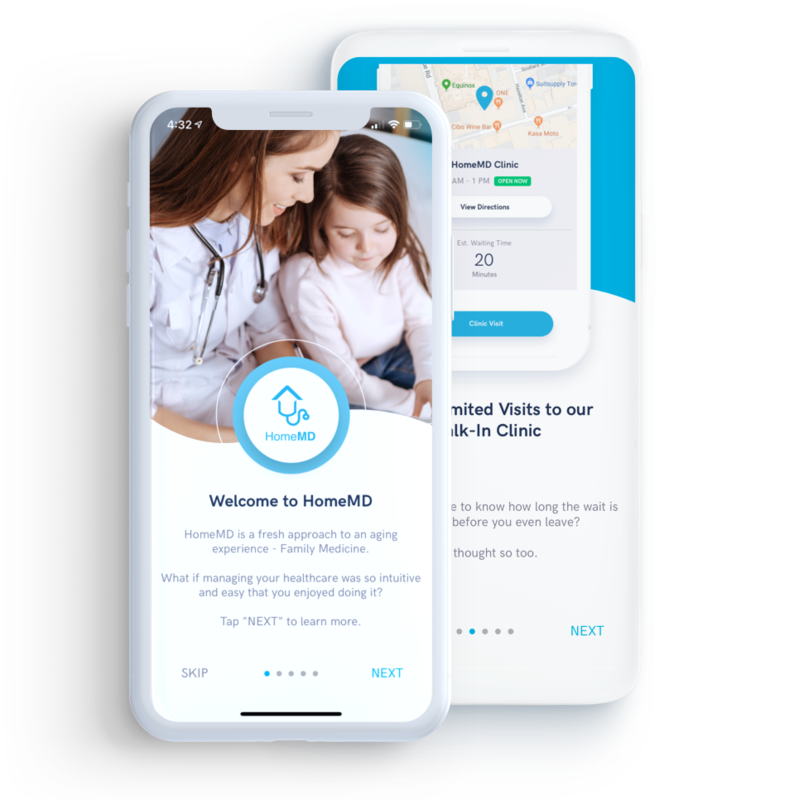 HomeMD is a personalized, digital-first primary health care service that offers three platforms to access your health needs: medical professional video consultation, medical house calls and same-day clinic visits. These are all available via HomeMD’s unique app that is easy to access through your device. A monthly subscription will offer you unlimited access to each platform. Knowledge is power in many areas of life, including your own health. By learning about risk factors, sexual health and lifestyle management, men are now taking their health into their own hands. The days of men resisting visiting the doctor are over – men are now taking an active role in their health and are healthier because of it. Our nurse practitioners are qualified to diagnose, treat and prescribe, and do so across three platforms of care at HomeMD. Our health care team will also spend the required time for health promotion education and other informal teachings to ensure we form a partnership and work together to maintain your peak health. Prevention is key in health management, but we also specialize in chronic disease management, all areas of male sexual health (including erectile dysfunction, priapism and STI screening), and work hard to mitigate risk factors through education and support. Nurse practitioners (NPs) are an untapped resource that more and more Canadians are turning to for primary health care each year. NPs are already the primary care providers for over 3 million Canadians which demonstrates how effective and accepted their medical expertise is in this country. HomeMD employs qualified, licensed nurse practitioners who are authorized to diagnose, treat and prescribe for nearly every area of health care. HomeMD offers unlimited use of all three platforms for all of our client’s health concerns, including all aspects of men’s health. Clients can choose from telemedicine, a mid-town clinic visit or a medical home visit, depending on your needs. The three-platform model works well because minor concerns can be dealt with easily and efficiently with medical video consultation, where more chronic or serious concerns may require an office visit, or a home visit when necessary. Our team can help decide which platform is right for you and can direct you to make the most appropriate choice for your particular concern. Focus on men’s health is important due to the male-specific issues that can arise from childhood through adulthood and into geriatric care. Men can take advantage of HomeMD’s male comprehensive health focus to be sure their health is on track. Teaching and screening are evidence-based ways to detect and treat disease early and effectively. Having an app at your fingertips that will allow you to get the medical attention you want, when you want it, is imperative to good health. Welcome to the next evolution of family medicine in Canada. Now serving the Toronto area, HomeMD features a powerful new app offering a unique platform designed to make your life easier and healthier. Our new software is the next step in patient-centered care. It reflects our goal to design our family practice around you, our patient, and to provide the treatment you need. We offer comprehensive health focus on men’s health, as well as many other areas, to ensure optimal personalized medical care.